Weddings are about LOVE right? 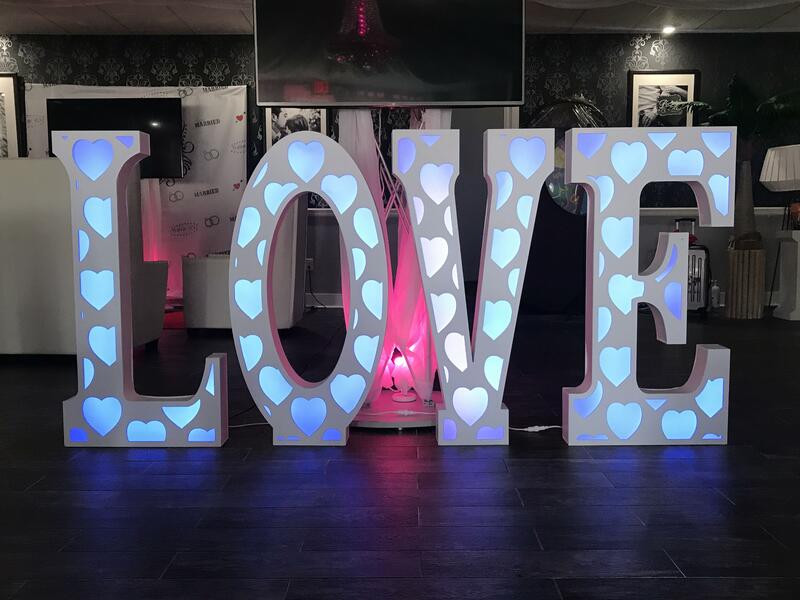 Rent our LED Love Letters to add a little ambient decor to your wedding reception. Pick one color or have them change colors. Our LED Love letters light up bright colors with LED technology that draws little to no power and looks amazing in pictures. Servicing the Tri-State area, our light up LOVE letters are available for pick up or delivery.